Jaipur, the Pink City, is the home to some of the most luxury abodes of tourist interest. Dotted with numerous palaces, this royal city doesn’t disappoints with its charm when it comes to hospitality. 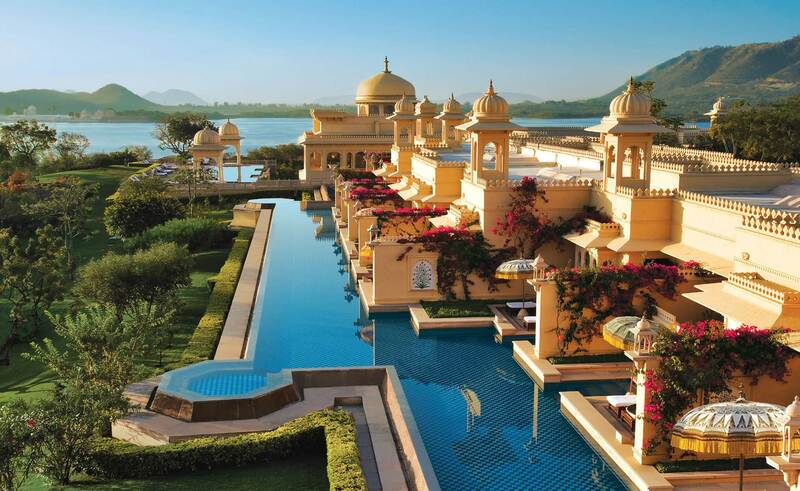 Perhaps, the term ‘Athithi Devo Bhava’ was specially made for these luxury hotels. 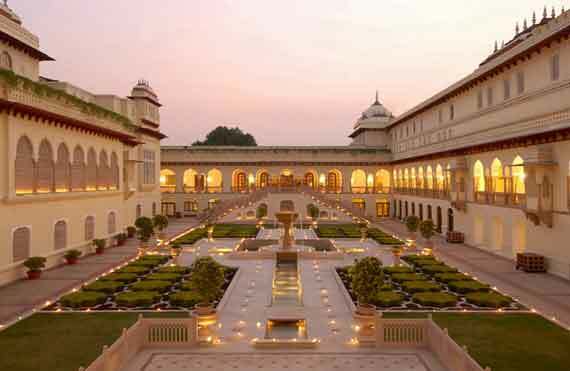 Let’s take a look at some of the finest luxury hotels in Jaipur. This luxury hotel with exquisite interiors, stupendous artifacts and plush furniture is the luxury haven one could ask for. The cordial front desk and staff comes with superb facilities like conference halls, luxury salon and spa and banquet halls, along with rooms and suites with a royal touch. Every single aspect of the hotel is regal, from paintings to bathrobes and from cushiony beds to ceiling fans. 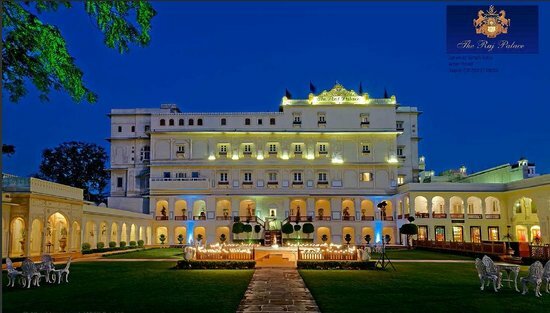 Taj Rambagh Palace is one of the many palaces built by the Maharaja of Jaipur, which served as a home to the royal family. If you’re looking for a right blend of traditional Rajasthani decor and modern facilities, then this magnificent hotel is just the place to spend your holiday. Located on the road leading to the monolithic Amber Fort, this fine piece of luxury comes loaded with a well equipped gym, swimming pools, business centres, banquet and conference halls and a couple of exciting multi cuisine restaurants. The lofty rooms of the hotel offer a fantastic view of the Amber Fort. Located in the heart of the city, this magnificent show of luxury consists of 362 rooms, 2 multi-cuisine restaurants, bars, gyms, lounges, spa, swimming pools, child care and 24 hours room services. With Jaipur Marriott, the hotel group lives up to its name. Some cool facilities like iphone docking systems and touch screen enabled wardrobes and washrooms are some added attractions. This luxury hotel is a perfect mix of the typical Rajasthani styles and with modern facilities. The extremely cozy hotel comes with 211 rooms and 14 penthouse and which are thoroughly decorated with the best historical specimens of Rajputana finesse. The Four Points is a marquee brand when it comes to luxury hotels and even in Jaipur it will never let your aspirations go down. This hotel in Jaipur carries the distinct charm of the city and you can find large paintings depicting city’s history in every room. The hotel rooms are well equipped with modern amenities and its close proximity with the railway station and airport makes it a great option to choose. This luxury hotel is a perfect show of architectural mastery with its Indo-Saracenic style. Jai Mahal is a historical palace spread in a sprawling area of 18 acres and is filled with small porticos amidst the lavish Mughal gardens. The hotel consists of three levels with the top one reserved for dignitaries and celebrities. The Jai Mahal served as the home to the family of royal wazir of Jaipur. This lovely hotel is located right next to the city centre, at a distance of about 15 km from the airport. At first glance it may seem like an actual tourist destination, because the hotel’s alluring design is inspired by the number of small havelis scattered in the city. There are some 218 rooms and suites in the hotel complex, each of them being appearing like a small pot craft. There is an in-house Kaya Kalp Spa which is perfect way relax after a tiring journey. The hotels also consists of some award-winning restaurants like Peshawari, that serves some really finger licking delicacies. 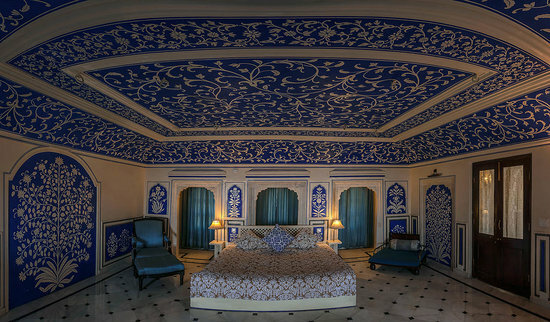 The Oberoi Rajvilas, which appears like a small fort, was constructed in the traditional Rajasthani style and is considered to be one of the most lavish hotels in Jaipur. The hotel consists of 54 fantastic rooms, 14 fabulous tents and three astounding villas, which are strategically placed across a sprawling area of 32 acres. The garden area comprises of some wonderful fountains, flower laden trees, a small haveli and a centuries old Shiva temple. The haveli is converted into a spa, offering wide varieties of relaxing massages. One of its villa known as the Kohinoor Villa is like a small apartment with a private pool and a small garden. This 150 years old haveli is fine specimen of the beautiful royal architecture. Built by the Maharaja of Jaipur as a relaxing place after an adventurous hunt, this gorgeous hotel is an hour drive from the city centre. With some really fantastic world-class facilities this royal hotel appears like an oasis in the desert of fast paced life. Alsisar Haveli is considered to be amongst the finest heritage properties in Jaipur. This comparatively smaller hotels is a fantastic blend of Rajputana class and modern amenities. The hotel is located is just half an hour away from famous attractions like Jal Mahal and Amber Fort. Built in the late 1800s, this royal property was converted into a luxury hotel in 1994. The hotels consists of 45 elegantly furnished rooms, well equipped with modern facilities. Author Bio: Anjali is a travel blogger with seven years of experience. She also writes for travel websites as a guest author and recommends best travel tips and destinations. Jaipur is one of the legendary vacation trip destination spot in Rajasthan. A journey to India can never be widespread without a visit to this residence of enormous modern and architectural prominence. For Luxury Hotels in Jaipur, kindly visit at here. I think, this is really very well information given about Jda Anupam Vihar Near Sez Approved Residential Plot for sale Ajmer Road Jaipur. Thanks for given this information here about this blog. Jaipur is the best place to enjoy in the monsoon time. The pink city remains cooler at that time and one can enjoy the most. There are many palaces around the city and each palace has its own charm. I've visited to three palaces there. It's such a lovely city. The delicious foods there contented me. I was in a business trip and stayed in a budget hotel. The cost was really cheap and I didn't know the hotels will be that much cheap with all the facilities. I think now these types of budget hotels are popular in India.